Marugen Koi Farm Singapore is a boutique Japanese koi fish farm in Singapore. It also has a sister branch; Marugen Koi Farm Vietnam in Ho Chi Minh, Vietnam and partners in Kuala Lumpur Malaysia. It offers specially hand-picked high quality imported Japanese Kois and Tamasabas (Japanese Goldfishes) from leading breeders in Japan to koi & goldfish hobbyists in Singapore, Malaysia, Vietnam and other parts of Asia such as Sri Lanka and Myanmar. 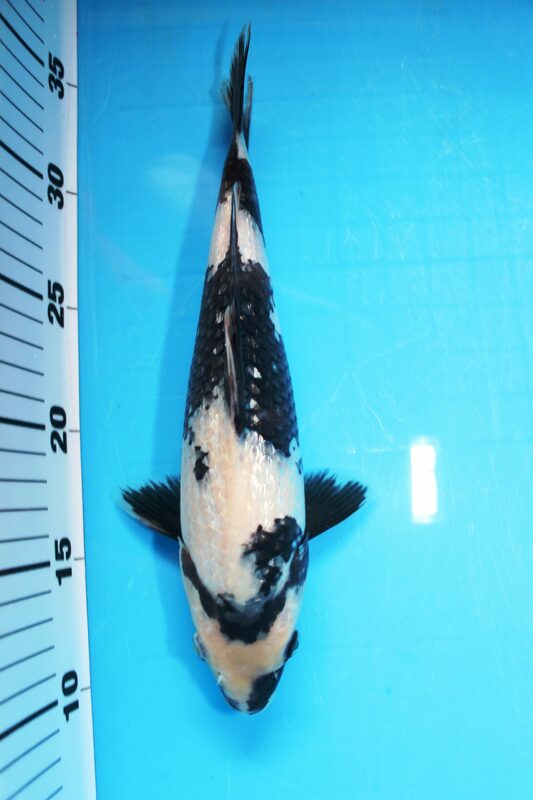 It also specializes in breeding first generation Japanese koi fish from Japan Imported High Quality Oyagois (Parent Kois), and offers these Marugen Koi Farm bred Japanese koi for sale in Singapore, as well as export to other countries such as Europe, Malaysia, Vietnam, Myanmar, Cambodia and Sri Lanka. Marugen Koi Farm Singapore feeds only high quality Japanese made koi food from trusted and established brands such as Saki-Hikari Koi Food and JPD Koi Food (Japan Pet Design); two of the most widely used koi food brands by many koi breeders in Japan to grow, develop and groom their kois. They are available for sale at our Marugen’s Koi Food Online Shopping Store on LAZADA. Marugen Fish Farm also breeds high quality Cross Back Golden Arowana, where the Marugen Fish Farm bred arowanas are predominantly exported to Japan. The farmers behind Marugen Koi Farm started off as avid koi hobbyists turned koi dealers and breeders. From its humble beginnings nestled among the lush foliage of Lim Chu Kang countryside in Singapore, it has since branched out to Malaysia and Vietnam. As koi dealers, Marugen Koi Farm offers specially hand-picked high quality Imported Japanese Kois from leading breeders in Japan, such as Dainichi Koi Farm, Sakai Co,. Ltd, Momotaro Koi Farm, Sakai Fish Farm, Omosako Koi Farm, Marusei Koi Farm, Isa Koi Farm, Marudo Koi Farm, Nogami Koi Farm, Ikarashi Koi Farm, Hoshikin Koi Farm, Sekiguchi Koi Farm, Marujyu Koi Farm, Maruboshi Koi Farm, Hiroi Koi Farm, Shinoda Koi Farm, Oya Koi Farm, Okawa Koi Farm, Kawakami Koi Farm, Yagenji Koi Farm, Izumiya Koi Farm, Matsue Koi Farm, Kondo Koi Farm, Hasegawa Koi Farm, Maruhide Koi Farm, Tanaka Koi Farm, Tamaura Koi Farm, Kansuke Koi Farm, Wada Koi Farm and Nagoshi Koi Farm, to koi hobbyists in Singapore, Malaysia, Vietnam, Cambodia, Myanmar and Sri Lanka. Hand-picking Quality Kois for our valued clients in Niigata & Nagoya Japan with Koi Breeders (Dainichi Koi Farm, Oya Koi Farm, Wada Koi Farm, Dainichi Toyota Koi Farm, Kondo Koi Farm) & sumptuous Japanese Tepanyaki dinner treat by Futoshi san of Dainichi Koi Farm! Hand-picking Quality Kois for our valued clients in Hiroshima, Fukuoka & Matsue Japan with Koi Breeders (Taniguchi Koi Farm, Ueno Koi Farm, Okawa Koi Farm, Tamaura koi Farm, Matsue Koi Farm, Sakai Co Ltd) & delicious authentic Japanese meal treats by Matsue Koi Farm and Tamaura Koi Farm! As koi breeders, Marugen Koi Farm aims to breed top quality Japanese jumbo kois for sale for fellow koi lovers looking to enjoy standards as close as possible to high quality Japan Imported kois, but at more affordable pricing. With koi hobbyists’ interests in mind, Marugen Koi Farm uses only top grade oyagois (Parent kois) of excellent bloodlines, from renowned Japanese koi breeding farms, such as Sakai Fish Farm, Momotaro Koi Farm, Dainichi Koi Farm, Nogami Koi Farm, Hiroi Koi Farm, Shinoda Koi Farm, Marusei Koi Farm, Marudo Koi Farm, Omosako Koi Farm , Sekiguchi Koi Farm and Isa Koi Farm. Marugen Koi Farm have helped koi hobbyists to win major prizes at koi shows in Japan, Singapore, Malaysia, Vietnam and Myanmar. Can you spot the Grand Champion of 1st Myanmar Young Koi Show 2017 in the bowl of Tosais? She was only a 12-13 cm mini Kohaku Tosai when we hand-picked her from Hasegawa Koi Farm back in March 2016. She was then grown at Marugen Koi Farm to a 55cm Nisai (October 2016), before she was sold to a Myanmar Koi Hobbyist. She continued to grow in the customer’s pond in Mandalay Myanmar, and went on to be crowned Grand Champion a couple of months later as a 59cm Nisai (Jan 2017). Marugen Koi Farm specializes in breeding the Gosanke varieties, namely Kohaku, Taisho Sanke and Showa Sanshoku, as well as Non Gosanke varieties, namely Kujaku, Matsuba, Karashigoi, Ochiba Shigure, Chagoi, Soragoi, Aka Muji, Hi Utsuri, Kinginrin Shiro Utsuri and Shiro Utsuri, offering koi hobbyists with a wide choice of koi varieties available for sale in Singapore. Marugen Koi Farm also provides pond rental for koi hobbyists keen to develop their beloved kois in concrete pond with water sourced from natural mud pond environment; where minerals and nutrients that are found naturally in the mud pond, act as essential health supplements for kois to grow healthy and develop better. Marugen is where we are because of all our valuable customers, friends and supportive partners; and we are deeply appreciative. We sincerely thank all for your friendship, and we will strive to adapt and improve in order to continuously provide excellent attentive customer service. For fellow koi hobbyists friends that have not visited us before, we like to warmly welcome you to have non-obligatory visits to our farm, and we will be happy to share our experiences and passion with you. Without further ado, below are some very kind compliments provided by our valued clients on Marugen’s Google Page. Marugen Koi Farm Visit – Where to buy Marugen koi fish in Singapore?Koi hobbyists are always welcome to visit our Marugen Koi Farm. Thanks JY for the beautiful write -up on Marugen Fish Farm. It is always a joy to see folks like you sharing your love for koi and koi keeping and also to do breeding selectively.